In lieu of flowers, memorial donations may be made to the El Dorado Springs Senior Center and left at the funeral home. Holly Eugene Robison, age 88, of El Dorado Springs, Missouri, left this earth to be reunited with the love of his life, Rosie (Wosoba) Robison, on Wednesday, August 7, 2013. He was born on December 18, 1924 to Jessie and Ida Mae (Hartman) Robison in Cedar County, Missouri, the youngest of three children. He spent his entire life on the family farm in Cedar and Vernon Counties. Holly attended Fairview Rural School until 1939, Walker Consolidated School from 1940-1941, and finished his education at the El Dorado Springs High School. He graduated on May 21, 1943. His favorite subjects were music, vocational agriculture, and shop. His least favorite subjects were arithmetic, history, and English. After graduating, Holly worked on the farm until September 9, 1944, when he answered his country’s call for service in the United States Army. He was shipped overseas to Europe on January 31, 1945. While serving there he received several awards, including the Purple Heart. He was sent back to the United States on July 11, 1946, and was honorably discharged on August 1, 1946. On May 5, 1950, Holly was united in marriage to the love of his life, Rosie Wosoba. Holly and Rosie made their home in rural Cedar County. In March of 1965 they were blessed with their only child, a son, Jeffery Dean Robison. In addition to farming, Holly was self-employed as an electrician, and he wired many homes in the surrounding area. He also worked for a local television shop, putting up antennas. In February of 1971 he began working at Witt Printing Company, from which he retired in March of 1991. He was also an avid ham radio operator for over thirty years. Holly’s later years were spent on the farm, raising crops, cattle, and an expanding family of five grandchildren and nine great-grandchildren. Holly lived an amazing life. 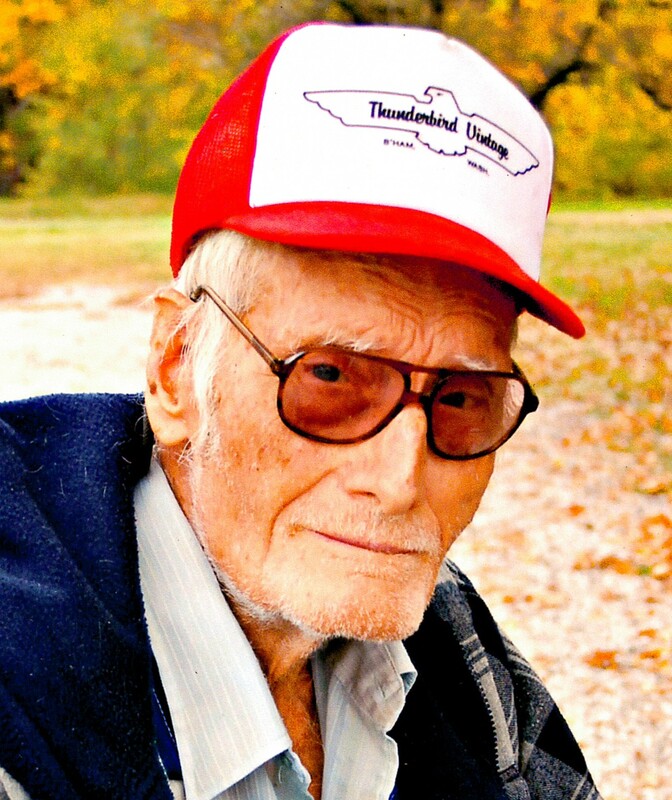 He enjoyed hunting quail, trap shooting, and working on anything with a motor. He spent many hours keeping the grandchildren busy with a garden, steam engine shows, parades, farming, and trying to teach them Morse code for his ham radio. Holly was preceded in death by his wife, Rosie; his parents, Jessie and Ida Mae Robison; a brother, Floyd Robison; and a sister, Hazel (Robison) McLain. Holly is survived by his son, Jeffery Robison, Sr.; two former daughter-in-laws: Rita Robison and Laura (Robison) White; grandchildren and great grandchildren: Pamela Smith and husband J.R., and son Bradley; Shelley Sorden and husband A.J., and children: Chastyn, Braxtyn, and Sylvia; Cassandra Robison and children: Kailee, Layla, and Creed; Jeffery Robison, Jr. and son Jayden; and Kaitlin Robison and son Bentley; nephews: Gary McLain and Luther McLain; and numerous cousins and extended family. Funeral services for Holly Robison were held on Sunday, August 11, 2013, at 2:00 p.m. at Bland-Hackleman Funeral Home in El Dorado Springs, Missouri, with Rev. Joe Trussell officiating. Burial followed at Virgil City Cemetery under the direction of Bland-Hackleman Funeral Home. Pallbearers were: Jeffery Robison, Jr., A.J. Sorden, J.R. Smith, Aaron Wosoba, Daniel Wosoba, and Matt Bishop, Jr. Honorary pallbearers were: John Wosoba, Floyd Wosoba, Fred Wosoba, Gary McLain and Luther McLain.